Introducing: The Natural Stone Collection from QALO! Check Out Unique Compositions and Styles. Shop Now! Introducing: The Natural Stone Collection from QALO! Check Out the Unique Compositions and Styles. Shop Now! New Dog Collection Items at QALO! Browse Updated Colors & Styles. Shop Now!! QALO Presents: The Eva Shockey Collection. Explore the Exclusive Collaboration with Unique Patterns, Styles, and Designs. Shop Now! Give & Get Gifts for Everyone You Adore at QALO! Our Curated Collections for Valentines Day Feature the Perfect Presents for Him and Her. Shop Now! Give & Get Gifts for Everyone You Adore at QALO! Our Curated Collections for Valentines Day Feature the Perfect Presents for Him and Her. Shop Now! Special Offer on Teething Necklaces from QALO! Use code TEETHING23 for 23% Off. Shop Now! Free Ring Customization at QALO! Use Code CUSTOMLOVE. Shop Now! Introducing: Strata Customization from QALO! Personalize Your Commitment. Shop Now! QALO - Extra 20% OFF Clearance with code EXTRAEXTRA. Shop Now! QALO's Last Minute GIfting Sale. 20% off Entire Site! Shop Now! Holiday Gift Sets & Bundles from QALO. The Perfect All-In-One in Time for the Holidays. Now 20% Off! Take Me to QALO! All New Holiday Gifts Sets & Bundles from QALO. The Perfect All-In-One in Time for the Holidays. Now 20% Off! Take Me to QALO! The Veteran's Day Special from QALO. 30% off Sitewide with Code THANKYOU30. Shop Now! New Arrivals From QALO. A Best-Selling Silhouette, Now Available in All-New Hues and Exclusive Patterns. Shop the Strata Collection Now! Free Shipping on All US Orders at QALO. Sale Ends Soon. Shop Now! QALO's Dog Collection  A New Line of Plush Doggy Beds and Customized Tags. Take Me There! Take 20% off Sitewide on QALO's Latest Collections with Code FALL20. Shop Now! Free Shipping on All Orders Over $25 at QALO. Shop Now! All-New Thin Line Pinstripe Ring is The Go-To Silicone Ring for Firefighters, their Families and Friends. Shop the Thin Line Collection! Share with your friends and get $5 off! Receive free ground shipping on U.S. orders $30 or more. Receive 15% off your purchase if you are a registered member of the U.S. Military. Receive 15% off your purchase if you are a registered U.S. First Responder (Law Enforcement, EMT, or Fire Rescue). These QALO coupon codes have expired but may still work. QALO FLASH SALE! An Extra 20% Off Sale Items with Code EXTRA20! Sale Ends 4/1. Shop Now! 17% Off Sale Extended at QALO! Get the Exclusive Claddagh Ring with Code LUCKYME. Shop Now! QALO's End of Year Clearance Sale! Up to 60% off Clearance Items. Shop Now! Buy One Get One 50% Off from QALO! Offer Ends 12/18. Shop Now! 30% Off on Marble Rings at QALO. Shop Now! 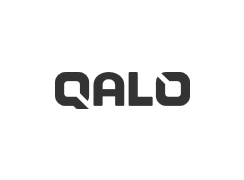 10 Days of December Deals from QALO! 20% Off Entire Site + Unique Daily Flash Sales through 12/12. Shop Now! QALO's 10 Days of December Deals! 20% Off Sitewide + New Offers Daily. Shop Now! Holiday Sale Items from QALO. Get 40% Off + Free Shipping on Select Sale Items with Code: FREESHIP1! Shop Now! Cyber Monday BOGO from QALO! Buy One, Get One FREE. Cyber Monday Sale 11/25 - 11/27. Shop Now! Take 20% Off 1 Item, 25% Off 2 Items, 30% Off 3+ Items at QALO! Black Friday Sale 11/21 - 11/24. Shop Now! QALO Gives Thanks - 100% OFF the US Military Collection for Military, Firefighters, EMT, and Law Enforcement! Just Pay Shipping All November. Take Me to QALO! The Family Collection  A New Line of Baby Products from QALO. Exclusive 10% Savings on Family Collection using code FAMILY10 - Shop Now! QALO  The Family Collection  Save 15% on Silicone Teething. Exclusive Family Collection Code: FAMILY15 - Shop Now! The Family Collection  A New Line of Baby Products from QALO. Exclusive 10% Savings on Family Collection - Shop Now! The Family Collection  Save 15% on Silicone Teething. Exclusive Family Collection - Shop Now! The Family Collection  Save 15% on Silicone Teething. Exclusive Family Collection Code: FAMILY15 - Shop Now! Enjoy 30% off select styles for the month of July. The QALO Summer Sale is here! Take 30% off select styles in QALO's Summer Clearance! Flash Sale 30% Sitewide, Use Code QALO30d. Secret Sale One Day Only! Ends at Midnight 7-23-18. Shop Now!